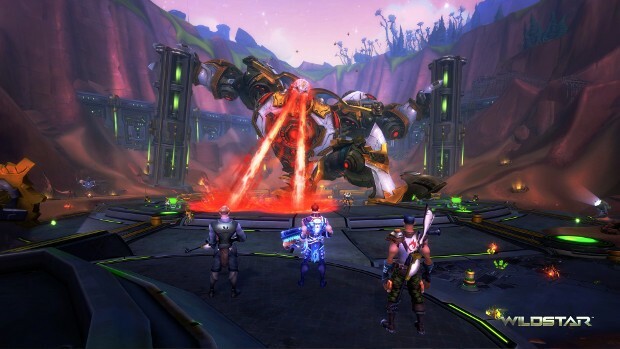 WildStar 1.6.2 update has already come out with cross fictional features. You'll be able to form groups from other faction thanks to the new cross-faction features, and you have the ability to do almost every piece of content with these cross-faction groups. With the arrival of Redmoon Mutiny, which is the second half of the Redmoon Terror raid, bold adventurers are getting some incredible allies to help them against Laveka, the one they call Dark-Hearted, and her ghoulish minions. There are numerous new social features that will be added to WildStar to improve the cross-faction play as much as possible. You're not just limited to cross-faction groups and guilds, you also the ability to make cross-faction circles, friends, and even neighbors! As members of different factions and sworn enemies, you can still play together and have fun.